When it comes to the Nokia 2017 flagship, there were so many leaks and rumors the past few months that we're not sure what to expect. First of all, the name has been tipped to be both Nokia 9, and Nokia 8. Second, specs have been all over the place and the only thing we know for certain is that the flagship will come with Snapdragon 835 and a dual Zeiss-branded camera. However, everything else is a complete mystery. This, of course, allowed for so much speculation that we're not sure what to believe anymore. So, let's take a look at the different options we see as possible and give our two cents on each one. 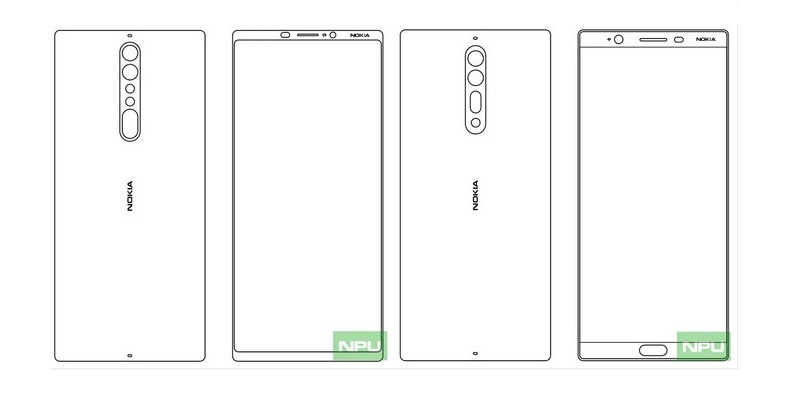 Some time ago, our colleagues over at Nokia Power User revealed a couple of design sketches, allegedly of the Nokia 8 and Nokia 9. If they turn out to be the real deal, both of the phones will come with dual-camera setup on their backs. The difference in design between the two handsets will be most prominent on their front – the Nokia 8 will feature slightly bigger bezels, with the bottom one holding the home button with embedded fingerprint scanner. 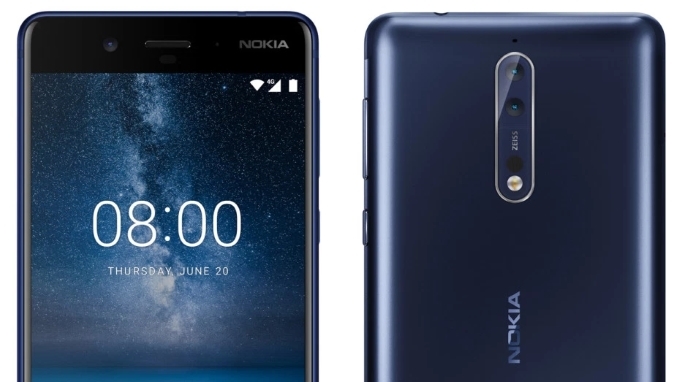 The Nokia 9, however, will be similar to the LG G6 and Galaxy S8 – it will come with very thin top and bottom bezels, and the fingerprint scanner will be relocated under the rear camera. That being said, if there are two phones, they won't boast the same hardware specs. The Nokia 8 will be the higher mid-range contender by HMD Global, probably featuring the new mid-range Qualcomm silicon – Snapdragon 660. On the other hand, we'll have the flagship Nokia 9 with the latest and greatest SoC – Snapdragon 835. 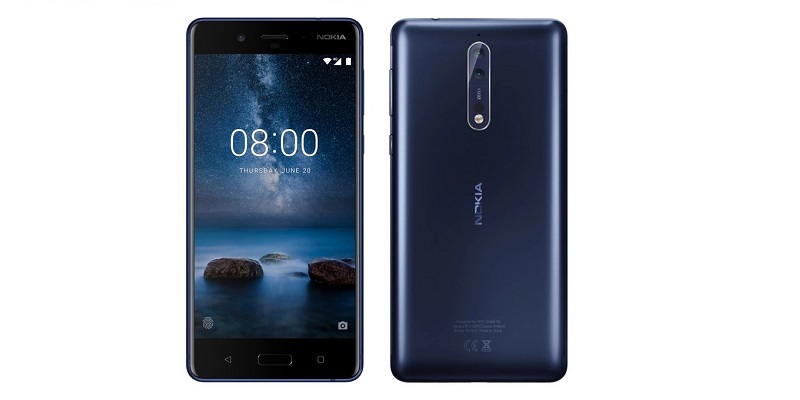 In terms of RAM, the Nokia 8 will most likely arrive with 4 GB, and the Nokia 9 will have two versions – one with 6 GB and one with 8 GB. The second is most likely to be Asia-exclusive, akin to the Nokia 6 that arrived in Europe with 3 GB of RAM, while having 4 GB in China. Recent rumors suggest that there might not be a Nokia 9 at all, and the flagship will be named Nokia 8 instead. This seems to be backed by HMD's letter to the FCC in June, which requested the change of name of the then TA-1004 model to TA-1012. So, maybe the Nokia 9 name was scrapped back then in favor of Nokia 8. If this turns out to be true, then maybe the design sketches we mentioned before were two prototype ideas for the same device, instead of two separate handsets. This seems to be the case according to the prolific leaker Evan Blass, as yesterday he unveiled his take on the subject in the form of an allegedly official render. The leak shows a rather beautiful dual-camera handset with its clock at 8:00 AM. A user on Twitter also pointed out that the name Nokia 8 might not be random, as the number eight looks similar in shape to a vertical dual-camera setup. If this is the case, the Nokia 8 will come with Snapdragon 835 and two versions in terms of RAM – a 4 GB and a 6 GB one. The handset will also boast a 5.3-inch 1440 x 2560 pixels (Quad HD) display. Other rumors suggest that the Nokia 8 phone might be unveiled on July 31, so if this theory is actually correct, we'll know soon enough. Of course, there is the possibility that we're reading the signs wrong, and HMD has decided to throw us a curve ball. If this holds to be true, the Nokia 9 will be the dual-camera flagship, and the Nokia 8 will be a regular mid-ranger with Snapdragon 660 that just hasn't appeared in leaks. This would suggest that the only information we have regarding HMD's future mid-rangers would be about their chipsets. 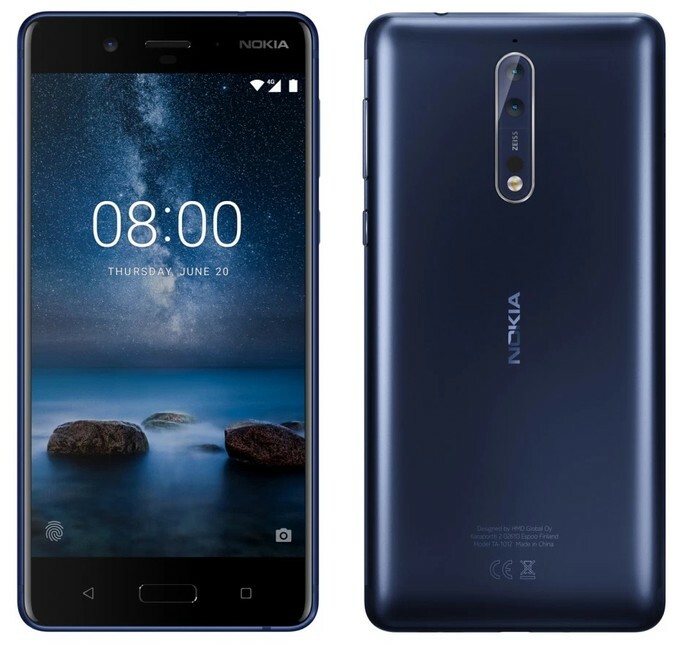 After all, when they were allegedly leaked, we caught our first and so far only glimpse of the entry-level Nokia 2, so it isn't impossible for the alleged Nokia 7 and 8 to also remain a secret. We have to admit that even we had a hard time going through the huge backlog of rumors, speculations, and leaks and piecing something that makes sense together.